In this seasonal exhibit, wander through our unique Butterfly Habitat and witness the fascinating dance between free-flying butterflies, the plants that sustain them, and their important role as pollinators in the ecosystem. You'll emerge with a better understanding of the environment needed for the survival of these spectacular animals. The Butterfly Habitat is open for the spring season daily through May 27, 2019. During Spring Break, April 13-21, the Habitat will be open from 10 a.m. to 4 p.m. Last admission tickets are sold 15 minutes prior to close. The schedule is subject to change based on weather conditions and special event availability. Admission is $2 for value members, $3 for non-members. Bronze and above members receive free admission. All guests ages 3 and up must be ticketed. Hundreds of butterflies and an array of butterfly-friendly plants have taken residence at the Preserve! Press play to explore the beauty of our Butterfly Habitat. 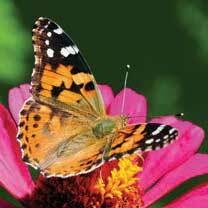 Our Butterfly Habitat is open each spring and fall. Explore our seasonal exhibit in 360 degrees and get a look inside! We’ve filled our Habitat with butterfly-friendly plants. 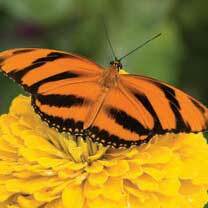 If you’re looking to attract some fluttering friends to your own yard, consider planting these nectar plants. Want to know more about our butterflies? 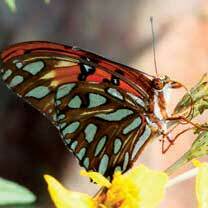 Identify additional butterfly species you may see at the Habitat. Of all the species we display, the blue morpho is a favorite of our guests. Watch this video to learn about their beautiful coloration. Did you know that the monarch butterfly is poisonous if eaten? 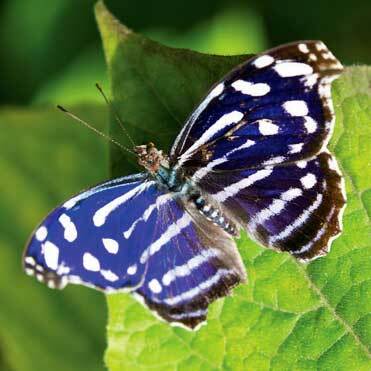 Learn more about "the king of butterflies" by watching this video. In this video, Springs Preserve zoologist Thomas O'Toole explains what—and how—butterflies eat. When you purchase a bronze Garden bench plaque, you support the ongoing operation and maintenance needs of the Habitat. Plaques will be installed near the Habitat and make wonderful and enduring birthday, anniversary, legacy or memorial gifts. Purchase your plaque today! Help your kids learn more about butterflies prior to their visit by having them complete this Butterfly Activity Sheet. The completed activity sheet can be redeemed for 100 bonus points in the Nature Exchange! These butterfly themed gifts celebrate the timeless beauty and hope epitomized by our fluttering friends.